Use fresh greenery in the form of natural garlands and wreaths to add a lovely scent and festive feel to your home. A few years ago, I bought some fresh greenery from a local market and tucked it into the arms of my dining room chandelier. Sprigs of pine mingled with juniper, bay and cedar. The smell was heavenly, and I loved the classic, casual look it brought to my holiday decorating. This set me on a path of minimizing the bins of stored Christmas décor in favor of using fresh wreaths, garlands and trees wherever possible. 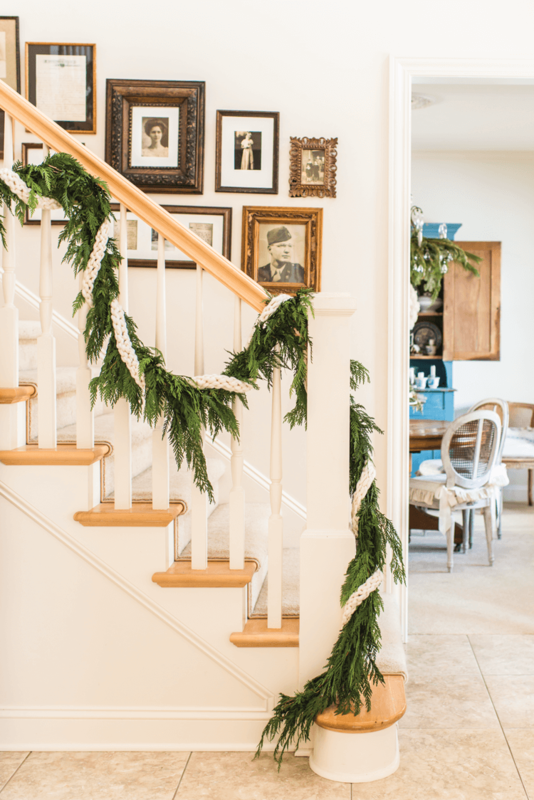 A garland of natural greenery with white ribbon adds an elegant, and informal touch to the staircase. What started with one chandelier evolved into clipping greenery from my yard, as well as gathering pinecones and evergreen boughs from the yards of friends and family. I made my own swags, garlands and Advent wreaths, and tucked in pinecones and sprigs wherever they would work in my home. Trimmings from live Christmas trees I saved and used throughout my home. 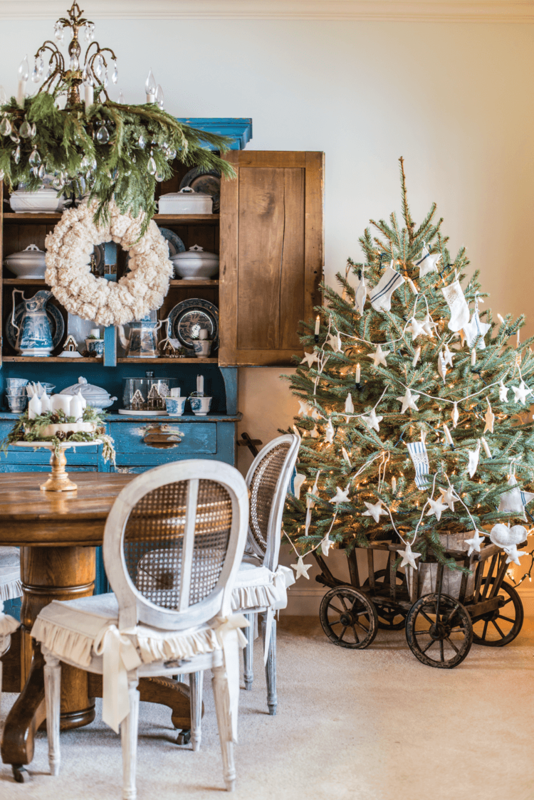 The small, wooden wagon makes a unique display for a petite tree in the dining room. 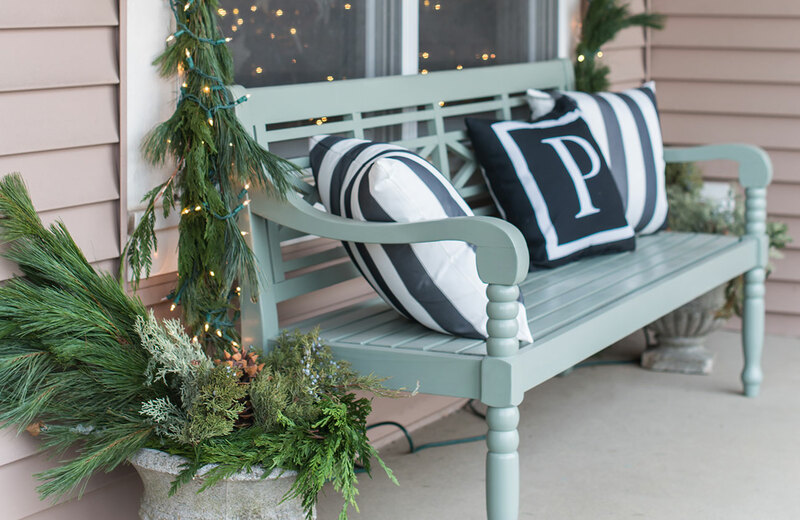 The result was holiday décor that subtly changed with each new holiday season, depending on what kind of greenery I could scrounge or buy. I relished the creative process that I reclaimed after years of putting the same décor in the same place simply because that was the way it had always been. And the look created with fresh greens is classic and cozy, making them a choice that will never go out of style. 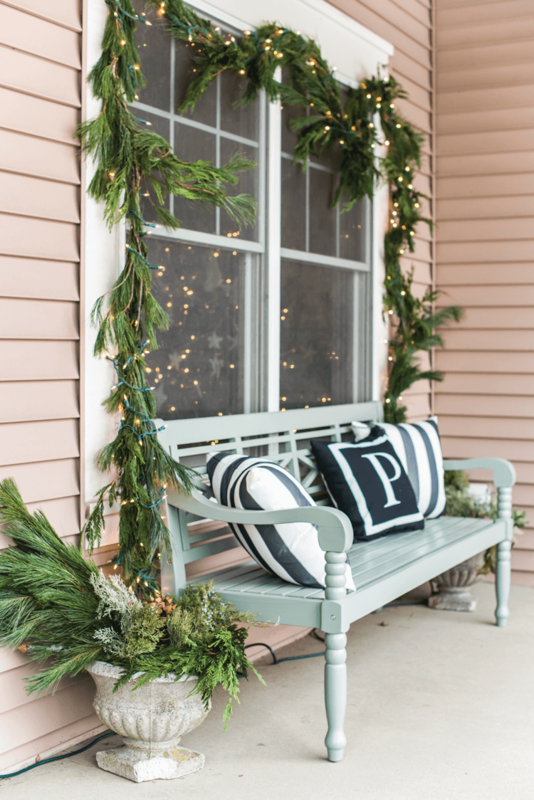 A natural garland strung with lights is a cheerful touch to the front porch, where it frames the window with its inviting presence. Use greenery that feels well hydrated when it’s purchased or clipped. Store the branches and sprigs in a cool place until you’re ready to use them. If you live in a cool climate, just leave them outside on a porch or deck. Give the clippings some water before bringing them inside. Submerge them in a plastic tub for a few hours, and then pat them dry prior to using them in your home. As an extra precaution, spray the fresh greenery with a product that seals the leaves to prevent wilting. Greenery can last in a home for 3 to 4 weeks if there is enough humidity (especially if you use humidifiers or have hot-water radiators). If your home is very dry during the winter months, though, the greenery will dry out in a matter of days. If that’s the case, skip the frustration of crispy, shedding greenery inside and simply decorate with it outside, where it will last for several weeks. Preserved greenery, pinecones and realistic artificial sprigs would be better options for inside. For more on Marian Parsons, visit missmustardseed.com. 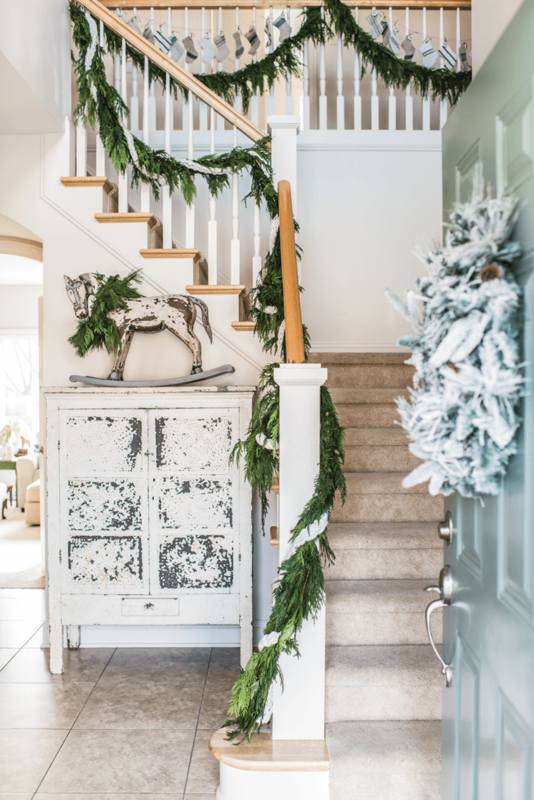 Guests are greeted by a natural garland strung with lights that frames the front door. 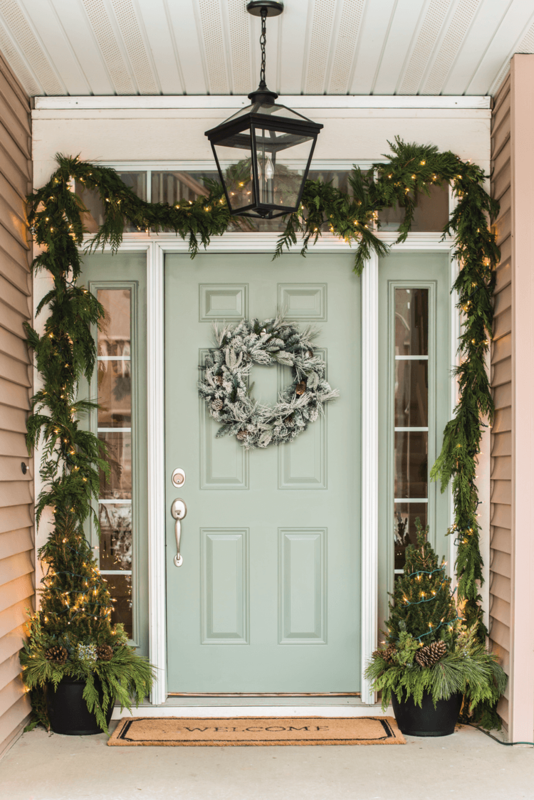 A frosted wreath and two potted plants with added greenery complete the look.